Most business owners realize that it's really important to have a website. It doesn't really matter what your business does. A website helps you connect with customers in a world that is increasingly focused on doing everything online. Savvy business owners also know that it's not just about having a website. It's also about having a really good website, and that's where many businesses continue to fail. Although you may not want to lay out the cost to have somebody develop your website, in practice it is a sound investment. Here are five reasons why it is always best to pay somebody to design your website. Outsourcing occurs everywhere in the modern workplace. Businesses of all sizes pay other businesses to do things for them. If you pay an expert to design your website for you, then you will have more time to concentrate on running your business. You may want to save money by trying to do everything yourself, but in fact you probably aren't saving anything at all. Your time is one of the most valuable commodities you have. Unless you are a website designer, there are plenty of other value-add things you could do. Bring in the experts and get on with your day job. Website design is a skill like any other. Different businesses need different things from their website. You may not even know what those needs are. A website designer can help you get the most from your website. He or she can help you understand what you can offer your customers. A skilled developer can help you avoid some of the common pitfalls of website design. You can set out your business goals, and then allow a trained designer to help you meet them. There is no limit to what a great website can do, but you will probably need a developer to help you get there. Businesses outsource services because they cannot be experts in all fields. Website design evolves all the time. Technology trends mean that customers expect more and more. A professional designer can keep up with these changes because that is what he or she trains to do. Websites can quickly look old-fashioned or tired. A developer can help you create a modern, vibrant design, and can then help you keep it that way. A polished, professional website design creates the right reputation for your brand. It is really important that the customer experience is excellent, and that users find the site easy and interesting to use. Inferior, amateur website design reflects badly on your business. You may disengage and lose customers to your competitors. A website designer can help you consider issues such as data security, privacy and stability. Running a good website is not just about creating a design. and putting it out there. Do you really want to have to build and look after your website alone? 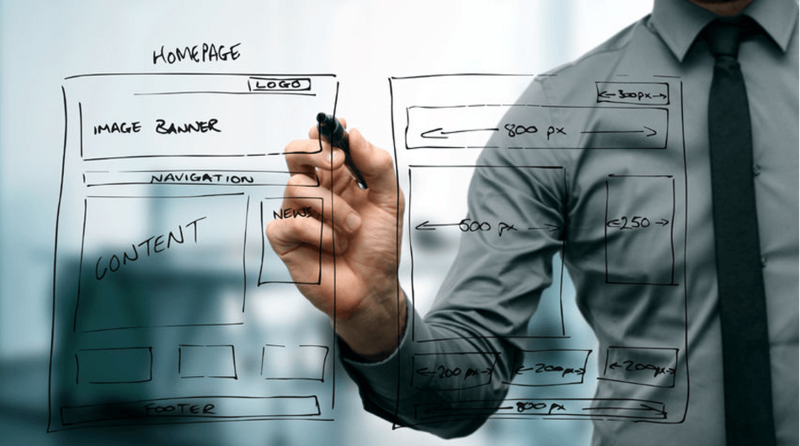 A good website design makes your business more profitable. A professional designer can help create a website where more customers buy your product. He or she can help you create content that maximizes your ranking on search engines. Expert website designers can show you how display content in a way that will appeal to more users, or cater for users with very special needs. Ultimately, all these things will help your business grow, leading to more profit. The cost of a website designer could become one of your best value investments. With so many do-it-yourself website providers on the market, it is easy to think that anyone can build a great website. The truth is that it is still hard to produce a really effective website, and for most businesses that means hiring external talent. To invest in your business and an effective online solution, call the friendly staff at Central Coast Web Design on 02 4341 3313.